Earthwise Valley is essentially a volunteer organization. Without the continuous contribution of volunteers, the project would not be possible. If you are interested in living sustainably and experiencing a beautiful area of New Zealand, whilst taking part in adventure recreation and sharing your experiences with people from around the world, then read on! While we also encourage locals to get involved, the majority of our volunteers are people from all over the planet who choose to come and stay with us and help out. Please do take a look around the rest of the website to find out more about what we are trying to achieve here, and check out the news section to keep up to date with our latest progress. Earthwise is located in the Coromandel Peninsula, and feels quite remote, though we're only 22km from Coromandel township and a three hour drive from Auckland. The balance between seclusion and access is ideal. A typical Valley week has 3-4 project days, 1-2 adventure recreation days, and a 'free-day'. Projects range across habitat building, sustainable production, bush restoration and more. These projects include organic gardening, tree-planting, mulching, wildlife monitoring, carpentry, and much more. 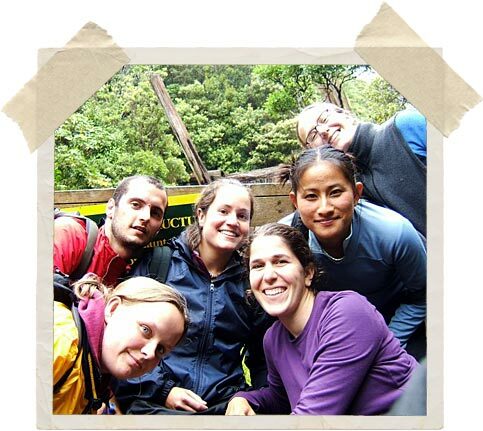 Our adventure recreation trips run continuously throughout the North Island of New Zealand and take us to some of the best places in the area for a variety of activities like hiking and sea kayaking. Valley recreation also involves gentler activities like reading, board games, yoga, meditation, art and music. So you can expect a great mix of activities, plus time to really build new friendships and make a home in a unique place on the Planet. We think THREE MONTHS is an ideal length of time to sample what the Valley has to offer! Take a look through the rest of this section of our website to find out what is involved in our residential volunteering scheme, and how to apply. If you can answer ‘yes’ to most of the following questions, then you are! 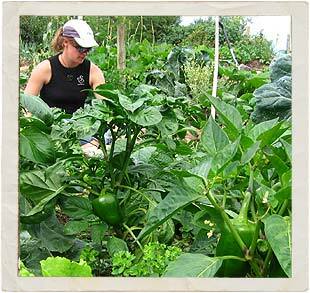 Are you interested in learning to live in a way that's sustainable with the Earth's resources? Do you love nature? Rain or shine? Bugs as well as bunnies? "I'd rather want what I have than have what I want"
Can you survive and thrive on vegetarian, un-fast food? Would you be comfortable using an outdoor loo? Camping? Sleeping under the stars? Can you handle living with lots of new faces and new personalities? Are you OK being away from friends and family for several weeks or months? Are you responsible, mature, open minded? Are you fit? Healthy? Happy? Can you handle a long walk? Chop wood and carry water? Can you work independently sometimes and learn quickly? You can read many more testimonials from past volunteers here!